Congratulations to Fred and Roberta Giles on the purchase of your new 2016 Mazda CX-3! Congratulations to Fred and Roberta Giles on the purchase of your new 2016 Mazda CX-3! 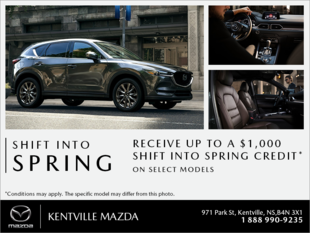 From your Sales Consultant, Darell Rogers and all of us here at Kentville Mazda, we thank you for your business and welcome you to the Kentville Mazda family!